Discover how the default currency can be updated. 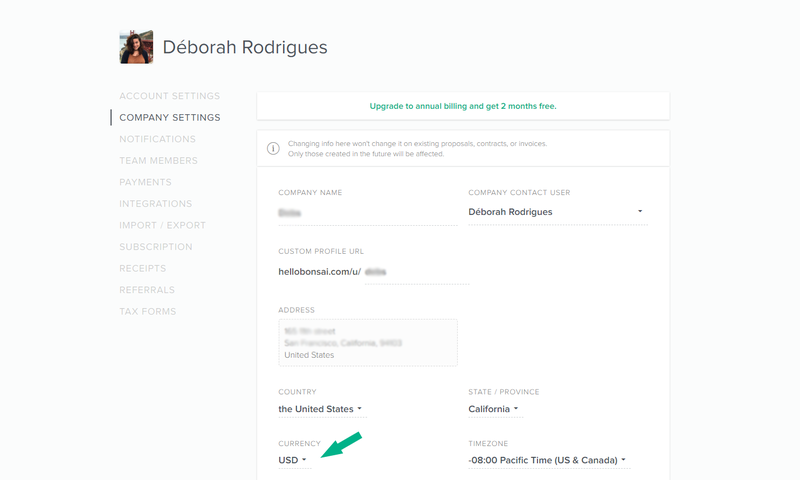 By default, your currency will be USD, but you can change it by going to your "settings", "company settings", and changing it to your preferred currency. *Changing info here won't change it on existing proposals, contracts, or invoices. Only those created in the future will be affected.